It’s extraordinary what components can be fabricated and manufactured using sheet metal. A large radius bend, for example, isn’t a design feature that many people would think possible with sheet metal. Yet FORM2000's automated folding machines can achieve this with ease. Typically, the single greatest time-cost component of the sheet metal manufacturing process is the folding operation. We work with our customers to develop the most cost-effective production solution based on requirement, accommodating both low and high production volumes through adapting fully automated, or semi-automated processes. 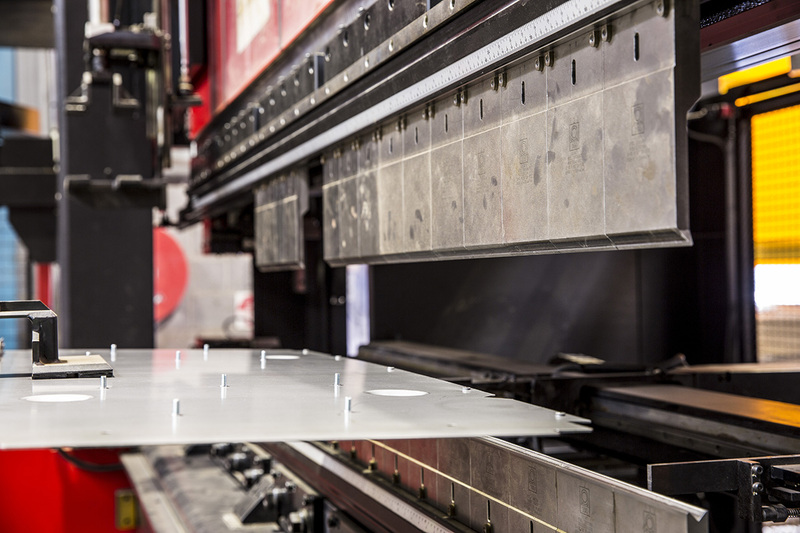 Our large investment in a range of leading-edge automated and robotic folding equipment from AMADA, provides us with the flexibility to optimise process selection to accommodate your end requirement – based on volume, sheet metal size, gauge and cost. The system is particularly suited to large volume orders of sheet metal fabrication.